Veteran actress Sharmila Tagore said that the only way for the family to deal with the paparazzi frenzy over her grandson Taimur Ali Khan is to accept it. Saif All Khan and Kareena Kapoor’s first child Taimur, 2, is always surrounded by photographers. On Sunday, while interacting with the media at the HELLO! Hall of Fame Awards 2019, Sharmila Tagore said: "I suppose we have to live with it. This is the age of social media. I don't think anything can be done about it." She said that if one cannot beat the trend, then one should join it. However, she is also apprehensive. She said that the excessive media coverage is not good for Taimur as he is too young to deal with it. "I am very old-fashioned. I don't think children should be exposed to all this. However, I learnt from Sara (Sara Ali Khan, Taimur's sister) to say if you can't beat them then join them," Sharmila Tagore added. Taimur's pictures feature regularly on newspapers and social media. When asked what Sharmila Tagore felt about that, she said: "I guess I should be happy about it but I don't think it's very good for the child." 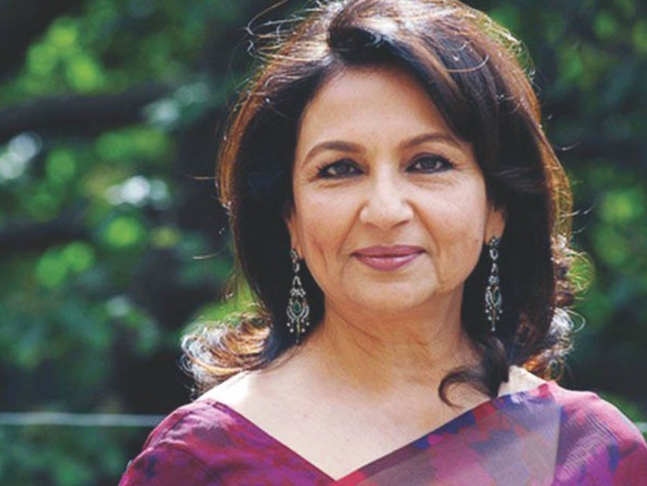 Sharmila Tagore is the star of iconic films such as Aradhana, Kashmir Ki Kali, Chupke Chupke and Amar Prem. Asked about her most memorable moment in her film career, she said, "There is not one, but many. All the films that I have worked in are my favourites. They are like my children. You can't have one favourite child so, in short, while I can't pinpoint one, maybe I'll write it in my memoirs someday."